We welcome you to the official website of 20th Euro Congress on Psychiatrists and Psychologists, during August 07-08, 2017 at Rome, Italy. The theme of the conference is based on “Achieving mental wellness by understanding human mind through Psychiatric approaches”. The rising rates of suicide and depression are among the most obvious signs of the increase in mental illness cases globally. Every year more than 500 Psychiatry Conferences are conducted all over the world. Mental illness affects people of all ages having a significant impact on many young people. About 27% of the adult population had experienced at least one of a series of mental disorders which includes problems arising from psychosis, substance use, depression, eating disorders and anxiety. Psychiatry meetings provide an opportunity to deal with various mental health problems. Psychiatry is the branch of medical concentrated on the diagnosis, treatment and prevention of mental, emotional and behavioral disorders. A psychiatrist is a medical doctor who specializes in mental health, including substance use disorders. Psychiatrists are qualified to assess both the mental and physical aspects of psychological problems. Psychiatry is now a highly visible activity, lack of care in the community, compulsion, suicide, drug and alcohol abuse are few motivations. Starting with the identification of the major mental illnesses and how they are considered distinction from normality. 16th World Congress on Psychiatry and Psychological Syndromes, April 25-27, 2017 Las Vegas, USA; 18th World Summit on Positive Psychology and Psychotherapy, May 1-3, 2017 Toronto, Canada; 17th Global Summit on Cognitive, Psychological and Behavioral Sciences, May 1-3, 2017 Toronto, Canada; 19th Global Congress on Pediatric and Child Psychiatry , July 12-13, 2017 Chicago, USA; 3rd International Conference on Mental Health and Human Resilence, May 11-12, 2017 Rome, Italy; 5th International Child and Adult Behavioral Health Conference 2017, January 12-14, United Arab Emirates; Mental Health and Addiction Medicine 2017, Feb 25 - Mar 4, Fort Lauderdale, Florida;International Congress on Dual Disorders (ICDD 2017), March 23-26, Spain; 2017 Trauma and Dissociation, October 20-22,2017 Washington, USA;American Psychiatric Association, American Psychological Association, Academy of Eating Disorders, Affiliated Psychiatric Services. Psychology is the science concerned with behavior, in both human and nonhuman animals. Despite its youth, it is a broad discipline, essentially spanning subject matter from biology to sociology. A psychologist is a professional who evaluates and studies behavior and mental processes. Psychologists have doctoral degrees. They study the intersection of two critical relationships: one between brain function and behavior, and another between the environment and behavior. As scientists, psychologists follow scientific methods, using careful observation, experimentation and analysis. But psychologists also need to be creative in the way they apply scientific findings. Child & Adolescent psychology is an understanding of the basic psychological needs of children and adolescents, and how the family and other social contexts influence the socio-emotional adjustment, cognitive development, behavioral adaptation and health status of children and adult. Child Psychology includes Psychological development in child (development throughout the lifespan). This branch of psychology focuses on the psychological processes of children from birth to adolescence. It takes note of the psychological changes that occur from infancy. Adolescence is hard time for a child, all the psychological and physical changes occur during this teen age. It is refer to as transitional period in life of an individual. Child psychologists assess and treat children and adolescents. They help children cope with stresses like divorce, death, and family or school transitions. Their clientele may include children with a variety of developmental issues, from learning disabilities to severe mental illness. Psychosis is an abnormal condition of the mind, where the person suffering loses contact with the reality. Major symptoms of psychosis are delusions and hallucinations. Psychosis is mainly triggered by other conditions like trauma, stress or other psychiatric disorders. In this particular session we will be discussing about causes, symptoms and recovery from psychosis. 10th World Psychiatrists Meet , December 7-9, 2017 Dubai, UAE;2nd Global Clinical Psychologists Annual Meeting, June 26-28, 2017 Bangkok, Thailand; Psychiatry and Mental Health November 20-22, 2017 Melbourne, Australia; International Conference on Psychiatry and Psychosomatic Medicine, Oct 5-6, 2017, London, UK; International Conference on Psychiatric-Mental health Nursing Oct 3-5, 2016 London, U.K ; International Conference on Intensive & Critical Care Nursing, November 21-23, 2016 Dubai, UAE ; 2nd International Conference on Healthcare and Biological psychiatry, February 21-22 2016 Dubai, UAE;Associates For Psychiatric Services, Association for Behavioral and Cognitive Therapies, Association of Advancement of Behavior therapy. Schizophrenia is a serious mental illness which interferes with a person’s ability to think clearly, make decisions, and manage emotions. It is a long-term medical illness; it affects about 1% of Americans. Schizophrenia can occur at any age, but the average age of onset tends to be in the late teens to the early 20s for men, late 20s to early 30s for women. It is uncommon for schizophrenia to be diagnosed in a person younger than 12 or older than 40. Schizophrenia isn't a split personality or multiple personality. Symptoms may include: Delusions, Hallucinations, Disorganized thinking, Negative symptoms are sometimes confused with clinical depression. Bipolar disorder is also known as manic-depressive illness that causes unusual shifts in mood, energy, and the ability to carry out day-to-day tasks. The symptoms of bipolar disorder are severe. Bipolar disorder symptoms can result in damaged relationships and even suicide. Bipolar disorder can be treated; people with this illness can lead full productive lives. 16th World Congress on Psychiatry and Psychological Syndromes, April 25-27, 2017 Las Vegas, USA; 18th World Summit on Positive Psychology and Psychotherapy, May 1-3, 2017 Toronto, Canada; 17th Global Summit on Cognitive, Psychological and Behavioral Sciences, May 1-3, 2017 Toronto, Canada; 19th Global Congress on Pediatric and Child Psychiatry , July 12-13, 2017 Chicago, USA; The Asian Conference on Psychology and Behavioral Sciences March 25-27, 2017 Kobe, Japan; 18th world congress of WADP — 'Creative processes in psychotherapy and psychiatry' , April 19 - 22, 2017, Florence, Italy; 6th World Congress on ADHD, April 20 - 23 2017, Vancouver, Canada; SESMH — 2017 Southeastern Symposium on Mental Health, May 12 - 13 May 2017, Greenville, United States; WPA XVII World Congress of Psychiatry, October 08 - 12 2017, Berlin, Germany; Atlanta Area Psychological Associates, Atlanta Psychological Association, Australian Association for Cognitive Behavior Therapy, Australian Psychological Society. Dissociative disorder is a mental health condition which alters a person's sense of reality. It is characterized by a disconnection between thoughts, consciousness and identity. According to recent survey 2% of people experience dissociative disorders, whereas women are more likely to be diagnosed then men. Treatment for dissociative disorders often involves psychotherapy and medication. There are three main types of dissociative disorders defined in the Diagnostic and Statistical Manual of Mental Disorders; they are Dissociative Amnesia, Depersonalization disorder and Dissociative identity disorder. Addiction or Addictive disorders have a huge impact on individuals and society through the direct adverse effects of drugs and functional consequences of altered neuroplasticity in the brain which causes loss of productivity. The potential addictions include behavioral and cyber addiction, drug addiction, alcohol addiction, substance abuse and gambling. 19th Global Congress on Pediatric and Child Psychiatry , July 12-13, 2017 Chicago, USA; 3rd International Conference on Mental Health and Human Resilence, May 11-12, 2017 Rome, Italy; 21st International Conference on Adolescent Medicine and Child Psychology , September 28-29, 2017 Berlin, Germany; 48th Annual Association of Black Psychologists International Convention 10–13 August 2016, Arlington, United States; 18th World Congress of Psychophysiology, 31 August – 4 September 2016, Havana, Cuba; IACCP 23rd International Congress 2016 Jul 30 - Aug 3, 2016, Nagoya, Japan; 9th International Regional Neuroscience and Biological Psychiatry Conference `Stress and Behavior` October 27-29, 2016, Zhenjiang, China; World Psychiatry Association International Congress 2016 November 18-22, 2016, Cape Town, South Africa; Belgian Psychological Association, Binge Eating Disorder Association, British Association of Behavioural and Cognitive Psychotherapies, California Psychological Association. Personality refers to a distinctive set of traits and patterns that make up our character. How we perceive the world, our thoughts, feelings are all part of our personality. Person with healthy personalities are able to cope with normal stresses and have no trouble forming relationships with family and friends. Those who struggle with a personality disorder have great difficulty dealing with other people. A deeply ingrained, perceiving, inflexible pattern of relating and thinking serious enough to cause distress or impaired functioning is a personality disorder. Personality disorders are diagnosed in about 40-60% of psychiatric patients. Our conference will address all areas pertinent to various childhood disorders including Paranoid personality disorder, antisocial personality disorder, Borderline personality disorder and Multiple personality disorder. 10th World Psychiatrists Meet , December 7-9, 2017 Dubai, UAE;2nd Global Clinical Psychologists Annual Meeting, June 26-28, 2017 Bangkok, Thailand; Psychiatry and Mental Health November 20-22, 2017 Melbourne, Australia; International Conference on Psychiatry and Psychosomatic Medicine, Oct 5-6, 2017, London, UK; 18th world congress of WADP — 'Creative processes in psychotherapy and psychiatry' , April 19 - 22, 2017, Florence, Italy; 6th World Congress on ADHD, April 20 - 23 2017, Vancouver, Canada, SESMH — 2017 Southeastern Symposium on Mental Health, May 12 - 13 May 2017, Greenville, United States; WPA XVII World Congress of Psychiatry Berlin 2017, October 08 - 12 2017, Berlin, Germany; Canadian Psychological Association, Canadian Society of Forensic Science, Central Institute of Mental Health Mannheim, Centre For Excellence in Eating Disorders. Mental health (psychiatric or psychologic) disorders involve disturbances in thinking, emotion, and behavior. Small disturbances in these aspects of life are common, but when such disturbances distress the person greatly and/or interfere with daily life, they are considered mental illness or a mental health disorder. Psychiatric disorders affect millions of people around the world. Without intervention, they can have devastating effects and interfere with daily life. 16th World Congress on Psychiatry and Psychological Syndromes, April 25-27, 2017 Las Vegas, USA; 18th World Summit on Positive Psychology and Psychotherapy, May 1-3, 2017 Toronto, Canada; 17th Global Summit on Cognitive, Psychological and Behavioral Sciences, May 1-3, 2017 Toronto, Canada; 19th Global Congress on Pediatric and Child Psychiatry , July 12-13, 2017 Chicago, USA; 3rd International Conference on Mental Health and Human Resilence, May 11-12, 2017 Rome, Italy; 22nd World Summit on Psychology, Psychiatry & Psychotherapy, Oct 19-21, 2017, San Francisco, USA: Annual Meeting of the American Association for Geriatric Psychiatry (AAGP 2017), March 24-27, United States: 25th European Congress of Psychiatry (EPA 2017), April 1-4, Florence, Italy: Psychiatric Nursing 2017, April 26-29, Gaylord Opryland Nashville, TN, United States; CHI Health Psychiatric Associates Mercy Council Bluffs, Child Psychiatry Associates, Cognitive Behavioral Therapy Society of Southern California. Psycho-oncology is a subject of multi-disciplinary interest and share boundaries with oncology, psychiatry, rehabilitation, Palliative care and other clinical disciplines or it is a field of interdisciplinary study and practice at the intersection of lifestyle, psychology and oncology. It is concerned with aspects of cancer that go beyond medical treatment and include lifestyle, psychological and social aspects of cancer. Sometimes it is also referred to as psychosocial oncology or behavioral oncology because it deals with psychosocial and behavioral topics. The field is concerned both with the effects of cancer on a person's psychological health as well as the social and behavioral factors that may affect the disease process of cancer and/or the remission of it. 21st International Conference on Adolescent Medicine and Child Psychology , September 28-29, 2017 Berlin, Germany; 10th World Psychiatrists Meet , December 7-9, 2017 Dubai, UAE;2nd Global Clinical Psychologists Annual Meeting, June 26-28, 2017 Bangkok, Thailand; Psychiatry and Mental Health November 20-22, 2017 Melbourne, Australia; International Conference on Psychiatry and Psychosomatic Medicine, Oct 5-6, 2017, London, UK; Annual Meeting of the American Association for Geriatric Psychiatry (AAGP 2017), March 24-27, United States: 25th European Congress of Psychiatry (EPA 2017), April 1-4, Florence, Italy: Psychiatric Nursing 2017, April 26-29, Gaylord Opryland Nashville, TN, United States: 19th Annual Conference of the International Society for Bipolar Disorders 2017, May 4-7, United States: Topics in Mental Health 2017, May 20-27, United States; American Psychiatric Association, American Psychological Association, Academy of Eating Disorders, Affiliated Psychiatric Services. Neuropsychology studies the structure and function of the brain as they relate to specific psychological processes and behaviors. It is an experimental field of psychology that aims to understand how behavior and cognition are influenced by brain functioning and is concerned with the diagnosis and treatment of behavioral and cognitive effects of neurological disorders. The term neuropsychology has been applied to lesion studies in humans and animals. It has also been applied to efforts to record electrical activity from individual cells (or groups of cells) in higher primates (including some studies of human patients).It is scientific in its approach, making use of neuroscience, and shares an information processing view of the mind with cognitive psychology and cognitive science. 16th World Congress on Psychiatry and Psychological Syndromes, April 25-27, 2017 Las Vegas, USA; 18th World Summit on Positive Psychology and Psychotherapy, May 1-3, 2017 Toronto, Canada; 17th Global Summit on Cognitive, Psychological and Behavioral Sciences, May 1-3, 2017 Toronto, Canada; 18th world congress of WADP — 'Creative processes in psychotherapy and psychiatry' , April 19 - 22, 2017, Florence, Italy; 6th World Congress on ADHD, April 20 - 23 2017, Vancouver, Canada, SESMH — 2017 Southeastern Symposium on Mental Health, May 12 - 13 May 2017, Greenville, United States; WPA XVII World Congress of Psychiatry Berlin 2017, October 08 - 12 2017, Berlin, Germany; Eating Disorders Awareness & Prevention, Eating Disorders Coalition, European Academy of Occupational Health Psychology. Psychotherapy is a general term for treating mental health problems by talking with a psychiatrist, psychologist or other mental health provider. There are many types of psychotherapy, each with its own approach. The type of psychotherapy that's right for you depends on your individual situation. Psychotherapy is also known as talk therapy, counseling, psychosocial therapy or, simply, therapy. 19th Global Congress on Pediatric and Child Psychiatry , July 12-13, 2017 Chicago, USA; 3rd International Conference on Mental Health and Human Resilence, May 11-12, 2017 Rome, Italy; 21st International Conference on Adolescent Medicine and Child Psychology , September 28-29, 2017 Berlin, Germany; 10th World Psychiatrists Meet , December 7-9, 2017 Dubai, UAE;2nd Global Clinical Psychologists Annual Meeting, June 26-28, 2017 Bangkok, Thailand; 48th Annual Association of Black Psychologists International Convention 10–13 August 2016, Arlington, United States; 18th World Congress of Psychophysiology, 31 August – 4 September 2016, Havana, Cuba; IACCP 23rd International Congress 2016 Jul 30 - Aug 3, 2016, Nagoya, Japan; 9th International Regional Neuroscience and Biological Psychiatry Conference `Stress and Behavior` October 27-29, 2016, Zhenjiang, China; World Psychiatry Association International Congress 2016 November 18-22, 2016, Cape Town, South Africa ;European Association of Behavioural and Cognitive Therapies, European Association of Psychology and Law, European Federation of Psychologists Associations. Post-traumatic stress disorder (PTSD) is an anxiety disorder caused by very frightening or stressful distressing events. It is estimated to affect about 1 in every 3 people who have a traumatic experience. Panic disorders, anxiety and depression are most common in person suffering from PTSD. We will be discussing about the major causes, symptoms and risk factors of PTSD such as family violence, domestic harassment and abuse or trauma. 21st International Conference on Adolescent Medicine and Child Psychology , September 28-29, 2017 Berlin, Germany; 10th World Psychiatrists Meet , December 7-9, 2017 Dubai, UAE;2nd Global Clinical Psychologists Annual Meeting, June 26-28, 2017 Bangkok, Thailand; Psychiatry and Mental Health November 20-22, 2017 Melbourne, Australia; International Conference on Psychiatry and Psychosomatic Medicine, Oct 5-6, 2017, London, UK;22nd World Summit on Psychology, Psychiatry & Psychotherapy, Oct 19-21, 2017, San Francisco, USA: Annual Meeting of the American Association for Geriatric Psychiatry (AAGP 2017), March 24-27, United States: 25th European Congress of Psychiatry (EPA 2017), April 1-4, Florence, Italy: Psychiatric Nursing 2017, April 26-29, Gaylord Opryland Nashville, TN, United States; European Psychiatric Association, Families Empowered and Supporting Treatment of Eating Disorders, Genesis Psychology Associates. Psychoactive Medication or psychotropic is a chemical substance that changes brain function and results in alterations in mood, perception, or consciousness. Some categories of psychoactive drugs have medical therapeutic utility such as anticonvulsants, analgesics, anesthetics, hormonal preparations and antiparkinsonian drugs for the treatment of neuro-psychiatric disorders. Mental illness can be treated by prescribed Psychotropic drugs. As per National Health and Nutrition Examination Survey Males (4.2%) to use ADHD drugs than in females, and Females (4.5%) to use antidepressants than in males. The goal of our Psychiatry Meetings is to understand the relationship between antipsychotics and psychotherapy, role of Akt/GSK3 signaling and dopamine in the action of psychotropic drugs. 19th Global Congress on Pediatric and Child Psychiatry , July 12-13, 2017 Chicago, USA; 3rd International Conference on Mental Health and Human Resilence, May 11-12, 2017 Rome, Italy; 21st International Conference on Adolescent Medicine and Child Psychology , September 28-29, 2017 Berlin, Germany; 5th International Child and Adult Behavioral Health Conference 2017, January 12-14, United Arab Emirates; Mental Health and Addiction Medicine 2017, Feb 25 - Mar 4, Fort Lauderdale, Florida;International Congress on Dual Disorders (ICDD 2017), March 23-26, Spain; 2017 Trauma and Dissociation, October 20-22,2017 Washington, USA ;Georgia Psychological Association, German association for psychiatry, German Psychological Association. Geriatric psychiatry is also known as psychogeriatric is a subspecialty of psychiatry dealing with the study, treatment, prevention of mental disorders in humans with old age. According to recent data indicate that an estimated 20.4 percent of adults aged 65 and older met criteria for a mental disorder. In this session we will be discussing about the various aspects of geriatric psychiatry, its study, prevention and treatment. 21st International Conference on Adolescent Medicine and Child Psychology , September 28-29, 2017 Berlin, Germany; 10th World Psychiatrists Meet , December 7-9, 2017 Dubai, UAE;2nd Global Clinical Psychologists Annual Meeting, June 26-28, 2017 Bangkok, Thailand; Psychiatry and Mental Health November 20-22, 2017 Melbourne, Australia; International Conference on Psychiatry and Psychosomatic Medicine, Oct 5-6, 2017, London, UK; Training — Transforming Mental Health Services for Children & Young Adults, January 30, 2017, London, United Kingdom; 7th World Congress on Women's Mental Health 2017 (IAWMH 2017) March 6-9,2017, Dublin; RCPSYCH Adolescent Forensic Psychiatry Conference 2017 March 20, 2017, London, United Kingdom; Global Mental Health Research, Illinois Psychiatric Society, International Association for Cognitive Psychotherapy. Forensic psychiatry is a field of psychiatry which deals with the assessment and treatment of mentally disordered offenders and criminals. It is an interface between mental health and law. The forensic psychiatrists have to balance the needs of the individual and the risk to society. They provide medical treatment in a secure environment or where patients are subject to legal restrictions. In this session we will be discussing about Criminological studies, recent developments in forensic psychiatry, behavioral forensic science and ethical issues in forensic psychology. Emergency psychiatry is the application of psychiatry in emergency settings. The conditions requiring psychiatric interventions may include substance abuse, attempted suicide, psychosis, depression violence or other rapid changes in behavior. 18th World Summit on Positive Psychology and Psychotherapy, May 1-3, 2017 Toronto, Canada; 17th Global Summit on Cognitive, Psychological and Behavioral Sciences, May 1-3, 2017 Toronto, Canada; 19th Global Congress on Pediatric and Child Psychiatry , July 12-13, 2017 Chicago, USA; 3rd International Conference on Mental Health and Human Resilence, May 11-12, 2017 Rome, Italy; 21st International Conference on Adolescent Medicine and Child Psychology , September 28-29, 2017 Berlin, Germany; ; 22nd World Summit on Psychology, Psychiatry & Psychotherapy, Oct 19-21, 2017, San Francisco, USA: Annual Meeting of the American Association for Geriatric Psychiatry (AAGP 2017), March 24-27, United States: 25th European Congress of Psychiatry (EPA 2017), April 1-4, Florence, Italy: Psychiatric Nursing 2017, April 26-29, Gaylord Opryland Nashville, TN, United States; International Association for Correctional and Forensic Psychology (IACFP), International Association Of Forensic Mental Health Services, International Society of Political Psychology. 16th World Congress on Psychiatry and Psychological Syndromes, April 25-27, 2017 Las Vegas, USA; 18th World Summit on Positive Psychology and Psychotherapy, May 1-3, 2017 Toronto, Canada; 17th Global Summit on Cognitive, Psychological and Behavioral Sciences, May 1-3, 2017 Toronto, Canada; 19th Global Congress on Pediatric and Child Psychiatry , July 12-13, 2017 Chicago, USA; 3rd International Conference on Mental Health and Human Resilence, May 11-12, 2017 Rome, Italy; 48th Annual Association of Black Psychologists International Convention 10–13 August 2016, Arlington, United States; 18th World Congress of Psychophysiology, 31 August – 4 September 2016, Havana, Cuba; IACCP 23rd International Congress 2016 Jul 30 - Aug 3, 2016, Nagoya, Japan; 9th International Regional Neuroscience and Biological Psychiatry Conference `Stress and Behavior` October 27-29, 2016, Zhenjiang, China; World Psychiatry Association International Congress 2016 November 18-22, 2016, Cape Town, South Africa; Iowa Psychiatric Society, Japanese Association of Behavior Therapy, Kentucky Psychiatric Association, Lakeview Psychological Associates. Psychotherapy is often used either alone or in combination with medications to treat mental illnesses. Nowadays extraordinary advances have been made in the treatment of mental illness. Treatment methods for psychiatric disorders can be differentiated as either somatic or psychotherapeutic. We will be discussing about somatic treatments including drugs, electroconvulsive therapy, and deep brain stimulation such as Transcranial magnetic stimulation therapy on psychotherapeutic treatments including psychotherapy, behavior therapy techniques such as Dialectical behavior therapy, hypnotherapy and mindfulness-based therapies. 19th Global Congress on Pediatric and Child Psychiatry , July 12-13, 2017 Chicago, USA; 3rd International Conference on Mental Health and Human Resilence, May 11-12, 2017 Rome, Italy; 21st International Conference on Adolescent Medicine and Child Psychology , September 28-29, 2017 Berlin, Germany; 10th World Psychiatrists Meet , December 7-9, 2017 Dubai, UAE;2nd Global Clinical Psychologists Annual Meeting, June 26-28, 2017 Bangkok, Thailand; Psychiatry and Mental Health November 20-22, 2017 Melbourne, Australia; International Conference on Psychiatry and Psychosomatic Medicine, Oct 5-6, 2017, London, UK; 18th world congress of WADP — 'Creative processes in psychotherapy and psychiatry' , April 19 - 22, 2017, Florence, Italy; 6th World Congress on ADHD, April 20 - 23 2017, Vancouver, Canada, SESMH — 2017 Southeastern Symposium on Mental Health, May 12 - 13 May 2017, Greenville, United States; WPA XVII World Congress of Psychiatry Berlin 2017, October 08 - 12 2017, Berlin, Germany ;Madison Psychiatric Associates, Ohio - American Psychiatric Nurses Association, World Psychiatry Associations/Spain, Southeastern Psychological Association. Entrepreneurs from any field can exhibit their products and can give a presentation on their products which should be helpful in business development and marketing. This conference aim is to connect Entrepreneurs, Proposers and the Investors worldwide. It is intended to create and facilitate the most optimized and viable meeting place for engaging people in global business discussions, evaluation and execution of promising business ideas. An investor could be able to find out the highest potential investment opportunities globally, which provide good return on investment. For entrepreneurs, this would be an ideal place to find out suitable investors and partners to start and/or expand their business. Thus it is a perfect place to connect Entrepreneurs, Business Owners, Early Stage Companies and Established Corporates with National or International Investors, Corporate Investors and Potential Business Partners. Psychiatrists and Psychologists conference is focused on helping entrepreneurs find the right co-founders, advisors, experts and interns to build lasting relationships and accelerate new business formation. Euro Psychiatrists 2017 congress helps entrepreneurs arm themselves with the right business advisors that have industry expertise in an area that is relevant to their business. Knowledge is power and experience goes a long way. We welcome you to our official website of 20th Euro Congress on Psychiatrists & Psychologists, during August 07-08, 2017 at Rome, Italy. The theme is based on “Achieving mental wellness by understanding human mind through Psychiatric approaches”. Mental illness in Italy is increasing rapidly. The rates of mental illness from 1990-2005 are as follows: substance use 1.0% (0.4–2.4), mood 6.6% (5.5–8.1), anxiety 9.7% (7.6–12.2), and impulse 0.3% (0.1–1.2) disorders. Life time Prevalence: substance use 8.3% (6.2–11.0), anxiety 15.0% (12.3–18.1), and mood 15.6% (13.5–18.1) disorders. Women are 3.7 time more likely to get mental illness than in men from Anxiety and mood disorders. Substance abuse is commonly seen in men. Economic crisis such as Unemployment, Poverty are main stressors leads to mental health difficulties such as anxiety and depression. Aim of this conference is stimulate new ideas for treatment that will be beneficial across the spectrum of various psychiatric disorders. Psychiatry Conferences, Psychiatry Meetings National symposiums and Workshops provide a dedicated forum for the advancement, execution and exchange of information about brain disorders and its allied areas. Euro Psychiatrists 2017 will provide an opportunity for all stakeholders working on mental health issues to talk about their work. Euro Psychiatrists 2017 will congregate renowned speakers, principal investigators, experts, psychiatrist and researchers from both academia and health care industry will join together to discuss their views and research. The Psychiatrists Meeting will be comprised of sessions by world class experts in the field of psychiatry. In Euro Psychiatrists 2017, international symposiums, B2B meetings, international workshops will also be organized to discuss the specific topics in the field of Psychiatry. Your attendance and participation will be greatly appreciated as we seek to strengthen the expertise in field of Psychiatry!! Euro Psychiatrists 2017 welcomes attendees, presenters, and exhibitors from all over the world to Rome, Italy. We are delighted to invite you all to attend and register for the 20th Euro Congress on Psychiatrists and Psychologits which is going to be held during August 07-08, 2017 Rome, Italy. The organizing committee is gearing up for an exciting and informative conference program including plenary lectures, symposia, workshops on a variety of topics, poster presentations and various programs for participants from all over the world. We invite you to join us at the Euro Psychiatrists 2017, where you will be sure to have a meaningful experience with scholars from around the world. All members of the Euro Psychiatrists 2017 organizing committee look forward to meeting you in Rome, Italy. According to WHO, mental health is defined as a state of well-being in which every individual realizes his or her own potential and can cope with the normal stresses of life, work productively and fruitfully, and are able to make a contribution to her or his community. Mental disorder is the health condition that is characterized by alterations in thinking, mood, and behavior that is associated with distress or impaired functioning. Mental disorders contribute to problems that may include disability, pain, or death. Globally, depression affects about 400 million, dementia affects about 35 million, while Schizophrenia which affects about 21 million people. Unipolar (also known as Major) depressive disorder is the third leading cause of disability worldwide, of any condition mental or physical, accounting for 65.5 million years lost. Overall list, responsible for 23.7 million DALYs globally, while other drug-use disorders accounted for 8.4 million. Schizophrenia causes a total loss of 16.8 million DALY, and bipolar disorder 14.4 million. Panic disorder leads to 7 million years lost, obsessive-compulsive disorder 5.1, primary insomnia 3.6, and post-traumatic stress disorder 3.5 million daily. Over one’s entire lifetime, the average American has a 47.4 percent chance of having any kind of mental health disorder. Rome, Italy’s capital is a sprawling, cosmopolitan city with nearly 3,000 years of globally influential art, architecture and culture on display. Rome has the status of a global city. Rome ranked in 2014 as the 14th-most-visited city in the world, 3rd most visited in the European Union, and the most popular tourist attraction in Italy. Its historic center is listed by UNESCO as a World Heritage Site. Monuments and museums such as the Vatican Museums and the Colosseum are among the world tourist destinations with both locations receiving millions of tourists a year. Rome was ranked in 2014 as 32nd in the Global Cities Index, being the highest-ranking city in Italy. With a 2005 GDP of €94.376 billion (US$121.5 billion), the city produces 6.7% of the national GDP (more than any other single city in Italy). Rome grows +4.4% annually and continues to grow at a higher rate in comparison to any other city in the rest of the country. Euro Psychiatrists 2017 will provide an opportunity for all stakeholders working on mental health issues to talk about their work. Euro Psychiatrists 2017 will congregate renowned speakers, principal investigators, experts, psychiatrist and researchers from both academia and health care industry will join together to discuss their views and research. The conference will be comprised of sessions by world class experts in the field of psychiatry. In Euro Psychiatrists 2017, international symposiums, B2B meetings, international workshops will also be organized to discuss the specific topics in the field of Psychiatry and cognitive therapy. • The Spanish Medical Colleges association. • European Mental Health association. Directors, Vice Presidents, Psychiatrist, Neuropsychiatrist, Psychologist, Brand Manufacturers, Professors, Lecturers and Students from Academia in the study of Psychiatry Disorders. In Italy, like many other European countries mental healthcare is an integral part of the general healthcare with universal coverage funded by taxation. Total health expenditure accounted for 7.7% of GDP in 2003 (public health expenditure was 5.6% of GDP). The actual percentage expended in mental care is not known and estimates are unreliable, approximately 5% of total health expenditure can be attributed to mental health. Trends and Forecast, 2014 – 2020, the global anxiety disorders and depression treatment market was valued at USD 22.5 billion in 2013 and is expected to reach USD 18.2 billion in 2020, at a CAGR of (1.25%) from 2014 to 2020. From spinning off its animal health business leaves a margin of 24% increased profit. Companies: Five pharmaceutical companies made a profit margin of 20% or more - Pfizer, Hoffmann-La Roche, AbbVie, GlaxoSmithKline (GSK) and Eli Lilly. And it's not just cancer drugs - between April and June this year, drug company Gilead clocked sales of $3.5bn for its latest Psychotic medicine .The profit of psychotic drugs in an academic course is $100,000. We welcome you to the official website of 4th Euro-Global Psychiatrists Meeting, during November 10-11, 2016 at Alicante, Spain.The theme of the conference is based on “Achieving mental wellness by understanding human mind through Psychiatric approaches”. Dissociative disorder is one which alters a person’s sense of reality and affects mental health condition. Dissociative disorder is characterized by disconnection between thoughts, consciousness and identity. In recent survey 2% of people are having Dissociative disorders, Prevalence of women are more than in men. Symptoms usually develop in response to abuse, traumatic event or any stressful situations. Main goal of this Psychiatry Conferences is to manifest, diagnose, treat and to know the prognosis of various types of dissociative disorders. Medication and Psychotherapy often involves in treatment for dissociative disorders. Dissociative disorders are three main types defined by Diagnostic and Statistical Manual of Mental Disorders, they are Depersonalization disorder, Dissociative Amnesia, Dissociative identity disorder. Borderline, Multiple and Paranoid Personality Disorder are the three major types of Dissociative identity disorders which we will be focusing on in our conference. Medical Ethics and Legal Medicine Western Caribbean Cruise, March 6-13, 2016, Fort Lauderdale, United States; American Academy of Forensic Sciences Annual Scientific Meeting Transformation, February, 22-27, 2016, Las Vegas, United States; 24th European Congress of Psychiatry, March 12-15, 2016, Madrid, Spain; Australian Pain Society 36th Annual Scientific Meeting, March13-16 Perth, Australia; Autism, ADHD and Developmental Disabilities New Zealand Cruise, March 25- April 8 2016, Sydney, Australia; Second International Conference on Loss, Bereavement and Human Resilience, January11-14, 2016, Eliat, Israel; 44th Annual Meeting of the International Neuropsychology Association, February 3 -6, 2016, Boston, Massachusetts, USA; Society for Cross-Cultural Research Conference, February 17-20, 2016, Portland, Oregon. Psychiatry Conferences Europe November 10-11, 2016, Alicante, Spain ; American Psychiatric Association, American Psychological Association, Academy of Eating Disorders, Affiliated Psychiatric Services. Mental disorders in children are divided into two categories: learning disorders and childhood disorders. From the school age itself these mental disorders can be diagnosed .The symptoms of these disorders can also be related to some adults. Mental retardation is the most common developmental disorder. Out of 100 School children one child in United States has some form of mental retardation as per the CDC record. Cerebral palsy is the second most common developmental disorder which is followed by Autism Spectrum disorders. Our, Psychiatry Meetings will address all areas pertinent to various childhood disorders including Hyperactivity Disorder/Attention Deficit, Mood Dysregulation Disorder Autism and Spectrum Disorder. According to recent records world widely 7 percent of kids have ADHD, 20% of American children suffer from a diagnosable mental illness during a given year. Further. 5 million American children and adolescents are suffering from serious mental illness. The hard time of individual is the period of Adolescence. All the physical and psychological changes occur during this teen age. It is referred as transitional period in the life of an individual. There are many things that will change during this age mainly hormonal and physical changes like, puberty changes, pressures from peers, negative attitudes, depression in adolescence, drug and alcohol abuse, impact of substance abuse on child, issues of sexuality, bullying and aggression, Influence the adolescent learning, suicidal behavior and self-harm, adolescent parental relationship, adolescent psychosis, adolescent social life. Our Psychiatry Conferences will provide knowledge regarding Adolescent Psychiatry Treatment approaches. Mental health nursing is a course of specialty within nursing. Mental health registered nurses work with communities, families, groups, and individuals by understanding their mental health needs. The PMHN develops a nursing diagnosis, plan of care, implements the nursing process, and evaluate it for effectiveness. Nurse Specialist or Nurse Practitioner is considered an advanced specialty in nursing in the practice of the psychiatric-mental health nurse (PMHN).The advanced treatment of Nursing of Mentally ill can be known through our Psychiatry Meetings. Psychiatric Mental Health Nurses Leading, Advocating, Practicing, and Educating, April 12-16, 2016, Marriott City Center, Minneapolis, Minnesota; 23rd International Symposium about Current Issues and Controversies in Psychiatry, April 28-30, 2016, online and in Barcelona, Spain, Europe; International Psychological Applications Conference and Trends, April 30- May 2, 2016, Lisbon, Portugal, Europe; 5th Annual Conference on Haitian Mental Health, 7 May 2016, Newton, USA; International Conference on Trauma and Mental Health, May 7-9, 2016, Jerusalem, Israel, Middle East; 4th International Congress on Clinical and Counseling Psychology, may 10-12, 2016, CPSYC, Antalya, Turkey, Eurasia; 9th World Congress for Neuro Rehabilitation, May 10-13, 2016 Philadelphia, United States of America; Cardiac Nursing Conference, May 5-7, 2016, Chicago: 7th Global Nursing and Healthcare Conference, August 18-20, 2016, Sao Paulo, Brazil; 2nd International Conference on Hospice and Palliative Care, August 25-27, 2016, Philadelphia, US; World Congress on Midwifery and Child Health, August 29-31, 2016, Sao Paulo, Brazil. Psychiatry Conferences Europe November 10-11, 2016, Alicante, Spain; Associates For Psychiatric Services, Association for Behavioral and Cognitive Therapies, Association of Advancement of Behavior therapy. Clinical psychology is defined as a part of science, clinical knowledge and theory for the purpose of preventing, understanding, promote behavioural and subjective well-being, relieving psychologically-based distress or dysfunction and to improve personal Development. Clinical Psychology can be applied in fields such as Psychological history, Developmental Psychology, Personality Psychology , Social Psychology, Psychology Research Methods, and Psychotherapy. Clinical psychology is a branch of psychology which focuses on diagnosing, and to treat the emotional and mental behavioral disorders. Most common disorders that can be treated include substance abuse, learning disabilities, anxiety, depression, and eating disorders. Different roles of Psychological treatments Can be learned at our Psychiatry Conferences. Winter Global Nursing Symposium, 8-9 January 2016, Los Angeles, California, United States of America; Facts, Insights and Implications, 11-14 January, 2016, Eliat, Israel, Middle East; International Conference on Education and Psychology, January 13-15, 2016, Taipei, Taiwan, Asia; Be Health Conference -International Behavioral Health, January16-17, Hong Kong, China, Asia; International Conference on Artificial Intelligence and Robotics Technology, January 22-23, 2016, Colombo, Sri Lanka, Asia; 3rd International Conference on Education and Psychological Sciences (ICEPS), February 3-4, 2016, Florence, Italy, Europe; 9th European Conference on Social and Behavioral Sciences February 3-6, Paris, France, Europe; 5th Annual International Conference on Cognitive and Behavioral Psychology, February 22-23, 2016, Singapore, Asia; International Conference on Education, Language and Psychology (ELAP), February, 24-25, 2016, Dubai, UAE; Global, Interdisciplinary Scientific Symposium Delivering on the promise of the right to rehabilitation, symposium, March 14-18, 2016, Mexico City, Mexico, Middle America. Psychiatry Conferences Europe November 10-11, 2016, Alicante, Spain; Atlanta Area Psychological Associates, Atlanta Psychological Association, Australian Association for Cognitive Behaviour Therapy, Australian Psychological Society. Addictive disorders or Addiction have a huge impact on society and individuals through the direct adverse side effects of drugs and alters the functional consequences of neurons in the brain which cause loss of productivity. Individuals may not know that they are causing problems for others and themselves, and their behavior is out of control. The addictions may include cyber addiction, drug addiction, substance abuse, alcohol addiction and gambling. As per DSM-5 only substance addictions and gambling addictions are recognized. It is estimated that 22.3 million Americans from the age 12 and older suffered from substance abuse, according to the Substance Abuse and Mental Health Services Administration's National Survey. In 2007 about 3.7 million abused to other illicit drugs and 15.5 million of whom abused alcohol alone. Aim of this Psychiatry Meeting is to understand the causes of addiction, treatment and its rehabilitation. 8th Annual Mississippi Addiction Conference, February 10-12, 2016, Jackson, Mississippi; The American Society of Addiction Medicine (ASAM) Annual Conference, April 14-17, 2016, Baltimore, USA; The ASAM 48th Annual Conference-Innovations in Addiction Medicine and Science, April 6 - 9, 2017, New Orleans, USA; Australian and New Zealand Addiction Conference, May 18-20th 2016, Australia; 2nd International Conference on Autism May 05-06, 2016, Chicago, USA; International Conference and Expo on Musculoskeletal Regeneration May 05-06, 2016, Chicago, USA; 6th World Neurological Conference, May 19-21, 2016, San Antonio, USA; International Conference on Neuro Genetics, June 06-07, 2016, London, UK; Neuroimaging and Interventional Radiology Conference, June 13-14, 2016, Rome, Italy; 4th International Conference on Vascular Dementia, June 30 - July 02, 2016, Valencia, Spain. Psychiatry Conferences Europe November 10-11, 2016, Alicante, Spain; Belgian Psychological Association, Binge Eating Disorder Association, British Association of Behavioural and Cognitive Psychotherapies, California Psychological Association. Bipolar disorder is called as manic-depressive disorder. It represents Mood disorder, which means mood swings are extreme or less and will carry out their day-to-day tasks. Bipolar disorder symptoms are severe. The symptoms of bipolar disorder may result in even suicide or damaged relationships. This disorder may start before the age of 25 in most of the cases. People with bipolar disorder have unusual intense emotional states distinct periods called "mood episodes." An overexcited state is called manic episode hopeless state or an extremely sad state is called a depressive episode. Mood episode symptoms includes mania and depression Called as mixed state. Individuals with bipolar disorder who have psychotic symptoms are sometimes misdiagnosed with schizophrenia. Goal of this Psychiatry Conferences is to understand the manifestation, prognosis, treatment and diagnosis of various aspects of bipolar disorders like imaging and genetics of bipolar disorder. OMICS International hosted Euro Global Summit and Medicare Expo on Psychiatry during July 20-22, 2015 at Barcelona, Spain based on the theme “Global research and therapeutic approaches towards psychiatry”. The conference was initiated with a warm welcome note and the Book Launch from Honourable guests and the Keynote forum. The proceedings went through interactive sessions and panel discussions headed by Dr. Rivka A Edery, M.S.W. L.C.S.W, and Dr. Giampaolo Perna, Hermanas Hospitalarias, Italy honourable Moderators for the conference. Series of workshops and symposiums includes expert presentation by Dr. Charles B Nemeroff, Director of Center of Ageing, University of Miami, USA on “Personalized Medicine in Psychiatry: A Look to the Future” and “Managing “Treatment resistant” Schizophrenia: Pharmacological, Cognitive-behavioural and m-Health Solutions” by Dr. Jouko Miettunen, University of Oulu, Finland. OMICS Group has taken the privilege of felicitating Euro Psychiatry 2015 Organizing Committee, Keynote Speakers who supported for the success of this event. We are also obliged to various delegate experts, company representatives and other eminent personalities who supported the conference by facilitating active discussion forums. We sincerely thank the Organizing Committee Members for their gracious presence, support, and assistance towards the success of Euro Psychiatry 2015. The 3rd International Conference & Exhibition on Neurology and Therapeutics organized by OMICS Group International was successfully held at Hilton Philadelphia Airport, Philadelphia, USA during September 08-10, 2014. The conference was organized with the theme “Novel Therapies in Neurosciences and Neurological Disorders"
The conference was marked with the presence of renowned scientists, talented young researchers, students and business delegates representing more than 20 different countries ultimately driving the event into the path of success. OMICS Group also took the privilege of felicitating Neurology-2014 Organizing Committee, Editorial Board Members of Journal of Neurology & Neurophysiology , Journal of Brain Disorders & Therapy, Journal of Neurological Disorders and Autism- Open Access, Keynote Speakers, Chair and Co-Chairs whose support led the conference into the path of excellence. We are also obliged to various outside experts, company representatives and other eminent personalities who supported the conference by facilitating the discussion forums. All the above mentioned keynote speakers gave their energetic and fruitful contributions at Neurology-2014. All the keynote sessions, speaker sessions, Special session,workshop, symposium, and student poster presentations focused on the specific theme of the conference “Novel Therapies in Neurosciences and Neurological Disorders” The theme of the conference spurred the sessions and provided an insightful and excellent knowledge on the upcoming advances, research, and technology in neurology therapeutics. On day 2, Jacqueline Sidman conducted a Workshop on “Unravelling defense mechanisms: How the subconscious mind releases early painful memories in order to heal physical, behavioural and emotional problems.” On day 2, Special session on “CNS drug development perspectives for young neurologists” was taken up by Marie Trad, Quintiles, France. Both the workshop and the special session discussed the major breakthroughs and developments in the field of neurology. On day 3 symposium on “Stem cells for Neurological Disorders” by Guang-Xian Zhang, Thomas Jefferson University, USA discussed the Novel Therapies in Neurology. The conference also provided an exclusive environment to the students for their development of research and gave them an opportunity to raise the profile of their research by poster presentations. Best poster awards were also given by the student council. 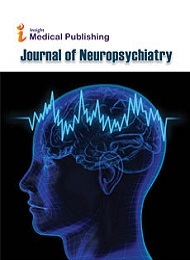 All accepted abstracts have been indexed in Journal of Neurology and Neurophysiology as a special issue. Our special gratitude to our Exhibitor Prove Biosciences and Media Partners ProHealth & Fitness, USA; The Sidman Institute, USA; Royal society of chemistry, USA; After the immense and grand response received for the International Conference on Neurology and Therapeutics, OMICS Group International proudly announces the commencement of its "4thInternational Conference & Exhibition on Neurology and Therapeutics” to be held during July 27-29, 2015 at Naples, Italy. The International Conference on Psychology, Autism and Alzheimer’s Disease, organized by OMICS Group International was successfully held at Hilton San Antonio Airport, TX, USA during September 30-October 01, 2013. The conference was organized with the theme “Global Perspectives and Current Trends in Psychology"
OMICS Group is grateful to Dr. Andrew V. Schally, Nobel Prize in Medicine 1977, for his time and dedication as Honourable Organizing Committee Member, for his exceptional support towards PsychoAAD 2013. OMICS Group also took the privilege of felicitating PsychoAAD-2013 Organizing Committee, Editorial Board Members of Journal of Psychology & Psychotherapy,Journal of Alzheimer's Disease & Parkinsonism and Autism- Open Access, Keynote Speakers, Chair and Co-Chairs whose support led the conference into the path of excellence. After the immense and grand response received for the International Conference on Psychology, Autism and Alzheimer’s Disease, OMICS Group International proudly announces the commencement of its "2nd International Conference on Alzheimer’s Disease & Dementia" to be held during September 23-25, 2014 at Valencia, Spain. Want to Differentiate your company from your competitors and broaden your competitive edge? By registering for the conference you grant permission to Conferenceseries Ltd to photograph, film or record and use your name, likeness, image, voice and comments and to publish, reproduce, exhibit, distribute, broadcast, edit and/or digitize the resulting images and materials in publications, advertising materials, or in any other form worldwide without compensation. Taking of photographs and/or videotaping during any session is prohibited. Contact us for any queries. Copyright © 2015-2016 Conferenceseries Ltd, All Rights Reserved. Last revised : January 1, 2017 12:00:00 IST. Psychiatric Mental Health Nurses Leading, Advocating, Practicing, and Educating, April 12-16, 2016, Marriott City Center, Minneapolis, Minnesota; 23rd International Symposium about Current Issues and Controversies in Psychiatry, April 28-30, 2016, online and in Barcelona, Spain, Europe; International Psychological Applications Conference and Trends, April 30- May 2, 2016, Lisbon, Portugal, Europe; 5th Annual Conference on Haitian Mental Health, 7 May 2016, Newton, USA; International Conference on Trauma and Mental Health, May 7-9, 2016, Jerusalem, Israel, Middle East; 4th International Congress on Clinical and Counseling Psychology, may 10-12, 2016, CPSYC, Antalya, Turkey, Eurasia; 9th World Congress for Neuro Rehabilitation, May 10-13, 2016 Philadelphia, United States of America; Cardiac Nursing Conference, May 5-7, 2016, Chicago: 7th Global Nursing and Healthcare Conference, August 18-20, 2016, Sao Paulo, Brazil; 2nd International Conference on Hospice and Palliative Care, August 25-27, 2016, Philadelphia, US; World Congress on Midwifery and Child Health, August 29-31, 2016, Sao Paulo, Brazil. Psychiatry Conferences Europe November 10-11, 2016, Alicante, Spain; Canadian Psychological Association, Canadian Society of Forensic Science, Central Institute of Mental Health Mannheim, Centre For Excellence in Eating Disorders. Personality disorders are the type of mental disorders characterized by cognition, inner experience, and maladaptive patterns of behavior deviating markedly from those accepted by the individual's culture and exhibited across many contexts. The early developed symptoms are associated with significant distress or disability and are inflexible. Personality disorders can be recognized by various behavioral patterns associated with occupational disruption, antisocial, Schizoid , personal, Multiple and Borderline personality. The goal of this Psychiatry Meeting is to discuss the diagnosis, causes and treatment approaches. Winter Global Nursing Symposium, 8-9 January 2016, Los Angeles, California, United States of America; Facts, Insights and Implications, 11-14 January, 2016, Eliat, Israel, Middle East; International Conference on Education and Psychology, January 13-15, 2016, Taipei, Taiwan, Asia; Be Health Conference -International Behavioral Health, January16-17, Hong Kong, China, Asia; International Conference on Artificial Intelligence and Robotics Technology, January 22-23, 2016, Colombo, Sri Lanka, Asia; 3rd International Conference on Education and Psychological Sciences (ICEPS), February 3-4, 2016, Florence, Italy, Europe; 9th European Conference on Social and Behavioral Sciences February 3-6, Paris, France, Europe; 5th Annual International Conference on Cognitive and Behavioral Psychology, February 22-23, 2016, Singapore, Asia; International Conference on Education, Language and Psychology (ELAP), February, 24-25, 2016, Dubai, UAE; Global, Interdisciplinary Scientific Symposium Delivering on the promise of the right to rehabilitation, symposium, March 14-18, 2016, Mexico City, Mexico, Middle America. Psychiatry Conferences Europe November 10-11, 2016, Alicante, Spain; CHI Health Psychiatric Associates Mercy Council Bluffs, Child Psychiatry Associates, Cognitive Behavioral Therapy Society of Southern California. Schizophrenia is characterized by serious mental illness . It interferes with a person’s ability to think clearly, manage emotions and make decisions. Schizophrenia is chronic medical illness. The symptoms include unclear or confused thinking, Delusions, false beliefs, auditory hallucinations, negative symptoms, lack of motivation, and reduced social engagement and emotional expression sometimes confused with clinical depression. Schizophrenia occurs at any age. The average age of onset tends to be late 20s to early 30s for women and 20s for men. People with schizophrenia fail to accept that they have an illness or their recommended treatment. Our Psychiatry conference will address all areas pertinent to onset, genetics, prognosis, treatment and diagnosis of schizophrenia. Deep brain stimulation involves in implanting brain pacemaker or electrodes in the areas of brain. Abnormal impulses are identified by electrical impulses which are regulated by electrodes. Interface of DBS is between psychiatry and neurology. Treatment for cluster headaches, epilepsy, chronic pain , Tourette syndrome, and major depression can also be done through Deep brain stimulation. . Deep brain stimulation (DBS) one of the invasive neuromodulation technique. Our Psychiatry Meeting will address all areas related to Psychosurgery, neuro feedback mechanism and side effects of DBS. 8th Annual Mississippi Addiction Conference, February 10-12, 2016, Jackson, Mississippi; The American Society of Addiction Medicine (ASAM) Annual Conference, April 14-17, 2016, Baltimore, USA; The ASAM 48th Annual Conference-Innovations in Addiction Medicine and Science, April 6 - 9, 2017, New Orleans, USA; Australian and New Zealand Addiction Conference, May 18-20th 2016, Australia; 2nd International Conference on Autism May 05-06, 2016, Chicago, USA; International Conference and Expo on Musculoskeletal Regeneration May 05-06, 2016, Chicago, USA; 6th World Neurological Conference, May 19-21, 2016, San Antonio, USA; International Conference on Neuro Genetics, June 06-07, 2016, London, UK; Neuroimaging and Interventional Radiology Conference, June 13-14, 2016, Rome, Italy; 4th International Conference on Vascular Dementia, June 30 - July 02, 2016, Valencia, Spain. Psychiatry Conferences Europe November 10-11, 2016, Alicante, Spain; Eating Disorders Awareness & Prevention, Eating Disorders Coalition, European Academy of Occupational Health Psychology. Psychiatric Mental Health Nurses Leading, Advocating, Practicing, and Educating, April 12-16, 2016, Marriott City Center, Minneapolis, Minnesota; 23rd International Symposium about Current Issues and Controversies in Psychiatry, April 28-30, 2016, online and in Barcelona, Spain, Europe; International Psychological Applications Conference and Trends, April 30- May 2, 2016, Lisbon, Portugal, Europe; 5th Annual Conference on Haitian Mental Health, 7 May 2016, Newton, USA; International Conference on Trauma and Mental Health, May 7-9, 2016, Jerusalem, Israel, Middle East; 4th International Congress on Clinical and Counseling Psychology, may 10-12, 2016, CPSYC, Antalya, Turkey, Eurasia; 9th World Congress for Neuro Rehabilitation, May 10-13, 2016 Philadelphia, United States of America; Cardiac Nursing Conference, May 5-7, 2016, Chicago: 7th Global Nursing and Healthcare Conference, August 18-20, 2016, Sao Paulo, Brazil; 2nd International Conference on Hospice and Palliative Care, August 25-27, 2016, Philadelphia, US; World Congress on Midwifery and Child Health, August 29-31, 2016, Sao Paulo, Brazil. Psychiatry Conferences Europe November 10-11, 2016, Alicante, Spain; European Association of Behavioural and Cognitive Therapies, European Association of Psychology and Law, European Federation of Psychologists Associations. Psychosis is condition of mental health problem that causes people to or interpret, perceive things differently from those around them.Hallucinations and delusions are the major symptoms of psychosis. It severely disrupt thinking, perception, emotion and behaviour. Psychosis is mainly influenced by other conditions like stress, trauma, and other psychiatric disorders. In our Psychiatry Conferences we will learn the detail picture of Psychosis and Adverse Behaviour and its Treatment. 8th Annual Mississippi Addiction Conference, February 10-12, 2016, Jackson, Mississippi; The American Society of Addiction Medicine (ASAM) Annual Conference, April 14-17, 2016, Baltimore, USA; The ASAM 48th Annual Conference-Innovations in Addiction Medicine and Science, April 6 - 9, 2017, New Orleans, USA; Australian and New Zealand Addiction Conference, May 18-20th 2016, Australia; 2nd International Conference on Autism May 05-06, 2016, Chicago, USA; International Conference and Expo on Musculoskeletal Regeneration May 05-06, 2016, Chicago, USA; 6th World Neurological Conference, May 19-21, 2016, San Antonio, USA; International Conference on Neuro Genetics, June 06-07, 2016, London, UK; Neuroimaging and Interventional Radiology Conference, June 13-14, 2016, Rome, Italy; 4th International Conference on Vascular Dementia, June 30 - July 02, 2016, Valencia, Spain. Psychiatry Conferences Europe November 10-11, 2016, Alicante, Spain; European Psychiatric Association, Families Empowered and Supporting Treatment of Eating Disorders, Genesis Psychology Associates. Psychiatric Mental Health Nurses Leading, Advocating, Practicing, and Educating, April 12-16, 2016, Marriott City Center, Minneapolis, Minnesota; 23rd International Symposium about Current Issues and Controversies in Psychiatry, April 28-30, 2016, online and in Barcelona, Spain, Europe; International Psychological Applications Conference and Trends, April 30- May 2, 2016, Lisbon, Portugal, Europe; 5th Annual Conference on Haitian Mental Health, 7 May 2016, Newton, USA; International Conference on Trauma and Mental Health, May 7-9, 2016, Jerusalem, Israel, Middle East; 4th International Congress on Clinical and Counseling Psychology, may 10-12, 2016, CPSYC, Antalya, Turkey, Eurasia; 9th World Congress for Neuro Rehabilitation, May 10-13, 2016 Philadelphia, United States of America; Cardiac Nursing Conference, May 5-7, 2016, Chicago: 7th Global Nursing and Healthcare Conference, August 18-20, 2016, Sao Paulo, Brazil; 2nd International Conference on Hospice and Palliative Care, August 25-27, 2016, Philadelphia, US; World Congress on Midwifery and Child Health, August 29-31, 2016, Sao Paulo, Brazil. Psychiatry Conferences Europe November 10-11, 2016, Alicante, Spain; Georgia Psychological Association, German association for psychiatry, German Psychological Association. Psychotherapy is a psychological method to treat mental health problems used by psychiatrist, psychologist or other mental health provider. Psychotherapy is a personal interaction to know the condition of mood swings, feelings, thoughts and helps to overcome problems in desired ways. 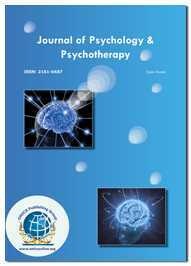 In our Psychiatry conferences we will be discussing about behavior therapy techniques such as Dialectrical behavior therapy, hypnotherapy and mindfulness-based therapy, electroconvulsive therapy, and deep brain stimulation such as Transcranial magnetic stimulation therapy on psychotherapeutic treatments including psychotherapy. Winter Global Nursing Symposium, 8-9 January 2016, Los Angeles, California, United States of America; Facts, Insights and Implications, 11-14 January, 2016, Eliat, Israel, Middle East; International Conference on Education and Psychology, January 13-15, 2016, Taipei, Taiwan, Asia; Be Health Conference -International Behavioral Health, January16-17, Hong Kong, China, Asia; International Conference on Artificial Intelligence and Robotics Technology, January 22-23, 2016, Colombo, Sri Lanka, Asia; 3rd International Conference on Education and Psychological Sciences (ICEPS), February 3-4, 2016, Florence, Italy, Europe; 9th European Conference on Social and Behavioral Sciences February 3-6, Paris, France, Europe; 5th Annual International Conference on Cognitive and Behavioral Psychology, February 22-23, 2016, Singapore, Asia; International Conference on Education, Language and Psychology (ELAP), February, 24-25, 2016, Dubai, UAE; Global, Interdisciplinary Scientific Symposium Delivering on the promise of the right to rehabilitation, symposium, March 14-18, 2016, Mexico City, Mexico, Middle America. Psychiatry Conferences Europe November 10-11, 2016, Alicante, Spain; Global Mental Health Research, Illinois Psychiatric Society, International Association for Cognitive Psychotherapy. Geriatric psychiatry is a subspecialty of psychiatry deals with the treatment and prevention of mental disorders in humans with old age. As Per present studies it is estimated that 20.4 percent of adults aged 65 and older are suffering with mental disorders. In this Psychiatry Meetings we will be discussing about the various aspects of the diagnosis, treatment and management of geriatric psychiatry. Psychiatric Mental Health Nurses Leading, Advocating, Practicing, and Educating, April 12-16, 2016, Marriott City Center, Minneapolis, Minnesota; 23rd International Symposium about Current Issues and Controversies in Psychiatry, April 28-30, 2016, online and in Barcelona, Spain, Europe; International Psychological Applications Conference and Trends, April 30- May 2, 2016, Lisbon, Portugal, Europe; 5th Annual Conference on Haitian Mental Health, 7 May 2016, Newton, USA; International Conference on Trauma and Mental Health, May 7-9, 2016, Jerusalem, Israel, Middle East; 4th International Congress on Clinical and Counseling Psychology, may 10-12, 2016, CPSYC, Antalya, Turkey, Eurasia; 9th World Congress for Neuro Rehabilitation, May 10-13, 2016 Philadelphia, United States of America; Cardiac Nursing Conference, May 5-7, 2016, Chicago: 7th Global Nursing and Healthcare Conference, August 18-20, 2016, Sao Paulo, Brazil; 2nd International Conference on Hospice and Palliative Care, August 25-27, 2016, Philadelphia, US; World Congress on Midwifery and Child Health, August 29-31, 2016, Sao Paulo, Brazil. Psychiatry Conferences Europe November 10-11, 2016, Alicante, Spain; International Association for Correctional and Forensic Psychology (IACFP), International Association Of Forensic Mental Health Services, International Society of Political Psychology. Forensic psychiatry is a branch of psychiatry and is related to law and mental health. 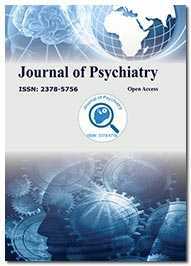 Forensic patients have complex psycho-social difficulties and diverse psychopathologies. Forensic psychiatrists have to balance both inviduals and the risk to society. Based on legal restrictions they provide medical treatment in a secure environment. In this Psychiatry Conferences we will be discussing about recent developments in forensic psychiatry, behavioral forensic science , and Criminological studies. Medical Ethics and Legal Medicine Western Caribbean Cruise, March 6-13, 2016, Fort Lauderdale, United States; American Academy of Forensic Sciences Annual Scientific Meeting Transformation, February, 22-27, 2016, Las Vegas, United States; 24th European Congress of Psychiatry, March 12-15, 2016, Madrid, Spain; Australian Pain Society 36th Annual Scientific Meeting, March13-16 Perth, Australia; Autism, ADHD and Developmental Disabilities New Zealand Cruise, March 25- April 8 2016, Sydney, Australia; Second International Conference on Loss, Bereavement and Human Resilience, January11-14, 2016, Eliat, Israel; 44th Annual Meeting of the International Neuropsychology Association, February 3 -6, 2016, Boston, Massachusetts, USA; Society for Cross-Cultural Research Conference, February 17-20, 2016, Portland, Oregon. Psychiatry Conferences Europe November 10-11, 2016, Alicante, Spain; Iowa Psychiatric Society, Japanese Association of Behavior Therapy, Kentucky Psychiatric Association, Lakeview Psychological Associates. Emergency psychiatry is a psychiatric intervention taken to stabilize emergency crisis. Individuals with psychosis, substance abuse, attempted suicide, depression violence and other violent behaviors are considered to be emergency, 1.5 million people in 2010 were diagnosed and discharged as Psychosis according to National Hospital Discharge Survey. The goal of this Psychiatry Meetings is to understand various psychotic personalities and to make psychiatric interventions such as, depression, attempted suicide, psychosis, and violence or any other rapid changes in behavior. 8th Annual Mississippi Addiction Conference, February 10-12, 2016, Jackson, Mississippi; The American Society of Addiction Medicine (ASAM) Annual Conference, April 14-17, 2016, Baltimore, USA; The ASAM 48th Annual Conference-Innovations in Addiction Medicine and Science, April 6 - 9, 2017, New Orleans, USA; Australian and New Zealand Addiction Conference, May 18-20th 2016, Australia; 2nd International Conference on Autism May 05-06, 2016, Chicago, USA; International Conference and Expo on Musculoskeletal Regeneration May 05-06, 2016, Chicago, USA; 6th World Neurological Conference, May 19-21, 2016, San Antonio, USA; International Conference on Neuro Genetics, June 06-07, 2016, London, UK; Neuroimaging and Interventional Radiology Conference, June 13-14, 2016, Rome, Italy; 4th International Conference on Vascular Dementia, June 30 - July 02, 2016, Valencia, Spain. Psychiatry Conferences Europe November 10-11, 2016, Alicante, Spain; Madison Psychiatric Associates, Ohio - American Psychiatric Nurses Association, World Psychiatry Associations/Spain, Southeastern Psychological Association. We welcome you to our official website of 4th Euro-Global Psychiatrists Meeting, during November 10-11, 2016 at Alicante, Spain. The theme is based on “Achieving mental wellness by understanding human mind through Psychiatric approaches”. Mental illness in Spain is increasing rapidly. The rates of mental illness from 1990-2005 are as follows: substance use 1.0% (0.4–2.4), mood 6.6% (5.5–8.1), anxiety 9.7% (7.6–12.2), and impulse 0.3% (0.1–1.2) disorders. Life time Prevalence: substance use 8.3% (6.2–11.0), anxiety 15.0% (12.3–18.1), and mood 15.6% (13.5–18.1) disorders. Women are 3.7 time more likely to get mental illness than in men from Anxiety and mood disorders. Substance abuse is commonly seen in men. Economic crisis such as Unemployment, Poverty are main stressors leads to mental health difficulties such as anxiety and depression. Euro Psychiatrists 2016 will provide an opportunity for all stakeholders working on mental health issues to talk about their work. Euro Psychiatrists 2016 will congregate renowned speakers, principal investigators, experts, psychiatrist and researchers from both academia and health care industry will join together to discuss their views and research. The Psychiatrists Meeting will be comprised of sessions by world class experts in the field of psychiatry. In Euro Psychiatrists 2016, international symposiums, B2B meetings, international workshops will also be organized to discuss the specific topics in the field of Psychiatry. Euro Psychiatrists 2016 will provide an opportunity for all stakeholders working on mental health issues to talk about their work. Euro Psychiatrists 2016 will congregate renowned speakers, principal investigators, experts, psychiatrist and researchers from both academia and health care industry will join together to discuss their views and research. The conference will be comprised of sessions by world class experts in the field of psychiatry. In Euro Psychiatrists 2016, international symposiums, B2B meetings, international workshops will also be organized to discuss the specific topics in the field of Psychiatry and cognitive therapy. 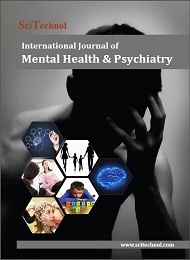 In Spain, like many other European countries mental healthcare is an integral part of the general healthcare with universal coverage funded by taxation. Total health expenditure accounted for 7.7% of GDP in 2003 (public health expenditure was 5.6% of GDP). The actual percentage expended in mental care is not known and estimates are unreliable, approximately 5% of total health expenditure can be attributed to mental health. This activity has been planned and implemented in accordance with the accreditation requirements and policies of the Accreditation Council for Continuing Medical Education (ACCME) through the joint providership of PeerPoint Medical Education Institute and Conference Series, LLC. PeerPoint Medical Education Institute is accredited by the ACCME to provide continuing medical education for physicians.